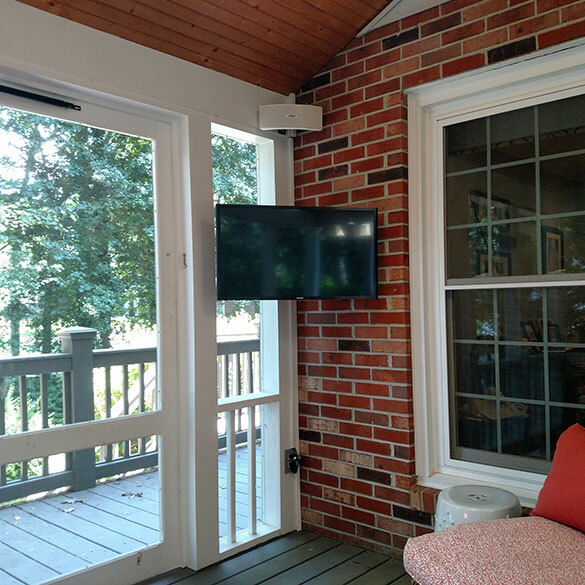 Image taken by Grand Central Wiring after we installed this outdoor TV on a screened-in deck. Outdoor TV installation is becoming more and more popular. 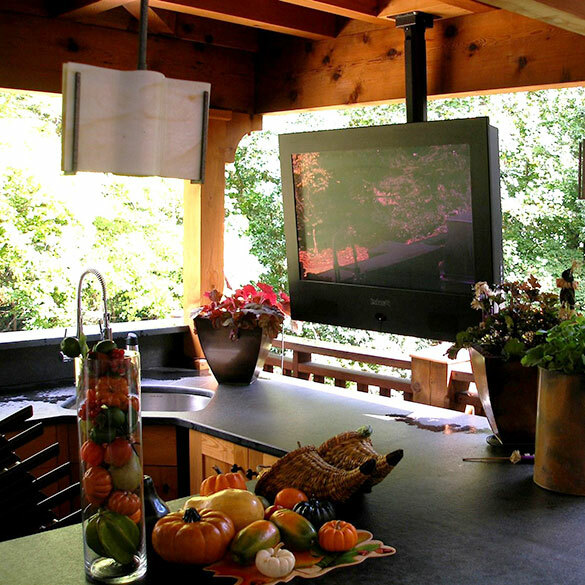 We’ve installed numerous TVs outdoors for clients in the Greenville, SC area. It’s relaxing to walk out on the screened-in porch at night, turn on the TV, and watch your favorite show or movie. We sell TVs that are designed for outdoor use and are waterproof. 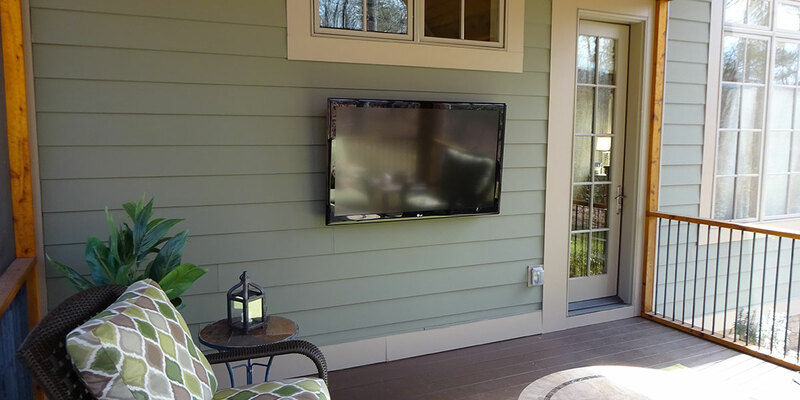 Although it’s ideal to use a TV specifically designed for outdoor use when you’re installing on a porch or deck, in residential settings you can use a traditional TV if you take the right precautions. You’ll need to use a weather-proof TV cover with pull string to cover the TV when not in use. However, in commercial settings like bars and restaurants, you’ll probably want to go with an outdoor TV that’s designed to endure the elements outdoors. Let Grand Central Wiring professionally install your TV. Call (864) 881-1675 to talk with us about your project. 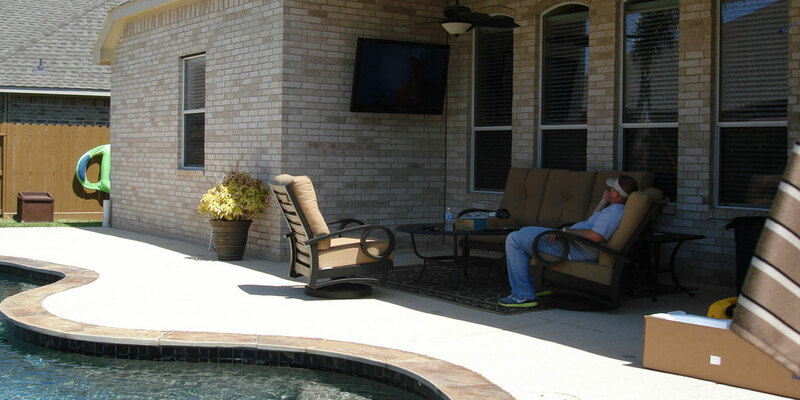 Images below are of outdoor TV’s installed by: Grand Central Wiring.